Based on 433 customer ratings. Why drive to Chicago for Giordano’s when you can get the best pizza delivery and restaurant right here in South Naperville? Let us serve you in our full dining room with bar, or you can eat at home with pickup or delivery instead. You've come to expect the highest quality from any of our locations, and our Giordano's location in South Naperville, IL is no different. We love being a part of the community that you call home. We love this area because of all of the things it has to offer to its residents. In 1831, Joseph Naper arrived on the banks of the DuPage River with his family. They had just finished a two-month journey over the Great Lakes with a few other families, who would move to settle other areas. The area that Joseph Naper occupied became known as Naper's Settlement. Over the next year, over 100 new people joined the community. Naper's Settlement was incorporated as Naperville village in 1857. At that time, it had a population of 2,000. For many coming decades, Naperville would be a mainly rural community. The area experienced a huge population spike in the 1960s that would continue into future decades. Today, more than 147,000 people call Naperville home. You'll never run out of things to do in South Naperville. Even though you're not far from bustling Chicago, there's no need to drive into the city to find a fun activity for you and your kids to do close to home. Springbrook Prairie Forest Preserve — This 1,829-acre preserve is open for different outdoor activities that your entire family will enjoy doing together. Take your binoculars on a hike and go bird-watching — the Springbrook Prairie is home to many large grassland bird communities. Bring the family dog and let him explore in an off-the-leash area. If you have a hobby with model airplanes or helicopters, you'll have a great open space to fly them on the model craft field. Turn your adventure into a day trip by bringing a grill and having a picnic. Frontier Sports Complex — This complex is the perfect destination for your active kids. Let them run themselves tired playing basketball, bocce ball and softball or baseball. For your young skaters, there's even a skate park. Country Yard Critters — Are you looking for something unique for your child's upcoming birthday party? Are you part of a committee that's planning a special event? Country Yard Critters may be just the thing for you! They will bring the zoo to you — they can do petting zoos and pony rides. It's a sure hit for your young ones! Whether you're looking for a quick bite or a special evening out, you can find it in South Naperville. Stop by our South Naperville Giordano's location for an authentic deep dish pizza the whole family will love! 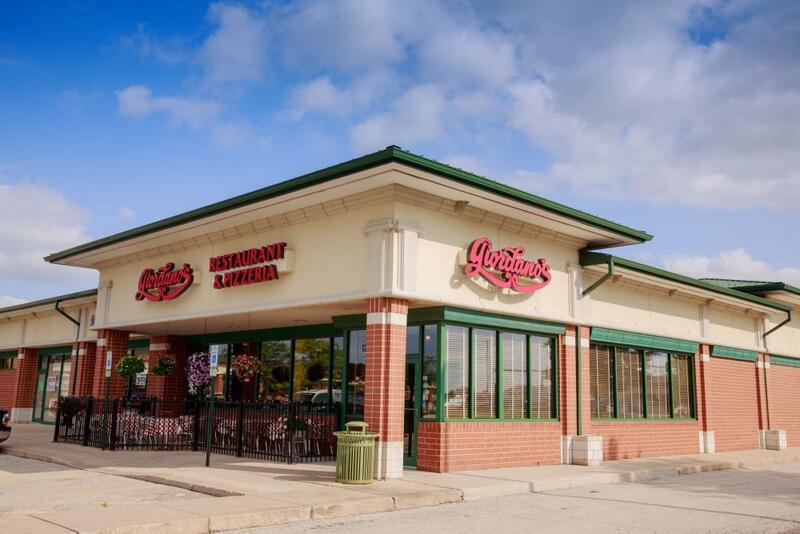 Looking for the best Chicago-style pizza in South Naperville? Come to Giordano’s! We have a proud 40-year tradition of serving the flakiest double-stuffed pies in Chicago! You’ll taste our heritage and craftsmanship in every single bite. With a tradition like ours, Giordano’s is more than a restaurant — we’re an experience to be cherished. Six Artisans. One Pie. Go to a regular place, order a pie, and you’ll get a so-so pizza made by workers with so-so skills. Come to Giordano’s and order a pie, and you’ll understand why we’re the best pizza place in Chicago! It takes six trained craftsmen to make each stuffed, slow-baked double-crust pie, and you’ll taste the tradition in every bite. From the mozzarella made just for us to the flavorful ingredients our artisans layer in every carefully built pie, you’ll love Giordano’s. Looking for pizza plus something extra? Check out the options on our full menu, which include tender pastas, mouthwatering sandwiches, hearty appetizers and the freshest salads. We even have gluten-free selections — just ask!